What’s this? Are the pot headed pixies at it again? 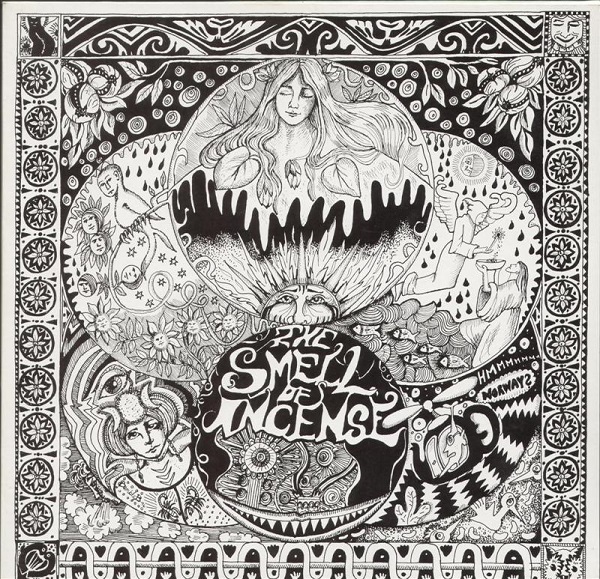 Wait a minute, this is not a reissue but an incredible and impeccable Gong cover by those psychedelic Norwegians The Smell of Incense. The instrumentation is superb and it isn’t until half way through the 12 minute medley that the vocals drop in and you realize that you’re not listening to Gong. (I guess we’re not in Kansas anymore, Toto.) What a fitting tribute to one of the psychedelic/prog rock era’s quirkiest and most innovative bands. Even Bumble B’s cover art invokes Gong replete with a Flying Teapot! On the flip side is Ethereal Counterbalance, led by one Rod Goodway from the UK. Plug consists of three songs: "Bodyland II," "Liar’s Boogie," and "Flight 49." Rod dedicated this music to Magic Muscle, a sister band to Hawkwind during the seventies. "Bodyland II" is the second installment of a trilogy whose first part appears on Simon House’s solo album House of Dreams. This is a cool song that sounds a lot like Bevis Frond. "Liar’s Boogie" has one of those repetitive fuzzed guitar riffs so familiar to Hawkwind fans and ends up being a Bevis Frond/Hawkwind hybrid. The final song "Flight 49" was recorded live at the Earth Ritual II Festival in Belgium on 30 September, 1994 and the lyrics paraphrase Donovan’s "Fat Angel." "Flight 49" is easily the best song on this side with its ethereal guitar solos. This performance could stand up to the Jefferson Airplane’s Bless Its Pointed Little Head. Another highly recommended September Gurls release. Snap it up if and when you see it.